Don’t order off the Kids menu! Stop feeding your kid mac and cheese, grilled cheese and hamburgers! Look I know—you are a loving devoted parent—committed to giving your kid (or kids) the best you can. But life is hectic and sometimes there isn’t enough time to do all you want. So you slip a little, and then it becomes routine. You can add chicken nuggets and burgers to the list as well. Say no to juice and milk (chocolate especially) on a regular basis as well. 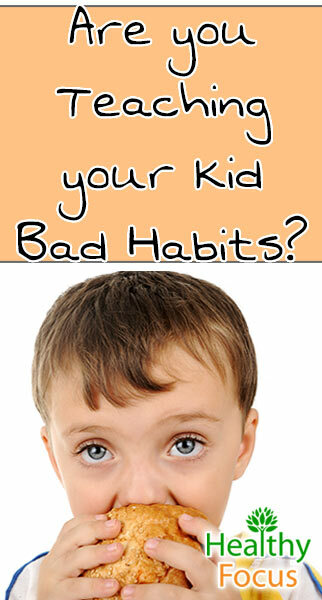 Many kids end up going through extended infanthood eating snacks and subsisting on milk. You would be better off breast feeding them for 5 years—at least that milk has real nutrition to it. No way they need more than a glass a day—they should be getting protein from other foods. Now if you are giving them high probiotic homemade Kefir or are an adventurous raw milk mom I obviously am not talking to you. I’m talking about the dead milk with some basic protein left in it (which is usually chocolate flavored). With all that sugar it is calorically as bad as soda. We are raising a generation of kids with no taste buds and really bad eating habits. And there really is not an excuse anymore. Healthy food is readily available—if not on the kids menu at least on the adult menu. Other than an occasional outing eating the kids’ meal is largely a garbage diet. Sure when they are young they can get away with it but you are potentially building a life time of bad diet choices and picky eaters that become annoying adults with baby-ish tastes. You know those people who eat like toddlers whenever you go out somewhere. You think—how is this possible—they don’t like anything normal. It started with a crappy diet as a kid. Stop the cycle today! In this age of so many good healthy food choices, today’s kids are living on cheese and “cheese food” products. I’m tempted to start a “gourmet” / “upscale”cheesery which would only serve grilled cheese, mac and cheese (with swiss ooh la la how fancy) and hot dogs and nuggets. I’d be a trillionaire in 15 years but I think Mickey Dees will beat me too it. Don’t routinely order kids meal crap. Have them eat normal food off your plate(s). Make them eat regular food. If they refuse they go hungry—you will win this battle pretty quick. It isn’t even about calorie count at this point—it’s about seeing and eating normal adult food. The kids menu has become a crutch for some parents to make their kids eat. I know it’s always a fight and sometimes at a restaurant you just want them to sit, eat and be quiet. You give them the tablet and smartphone to shut them up and the cheesy food to pacify them. It isn’t going to happen in a day but you need to build the eating habits at home so they don’t have a mac and cheese tantrum when you are out. Now we got out and occasionally do order the kids their own kids meal. They do eat hot dogs, nuggets and burgers (rarely but it happens). I think total restriction may build some kind of strange fascination and make them go on a berserker Mickey Dees binge in their teens. 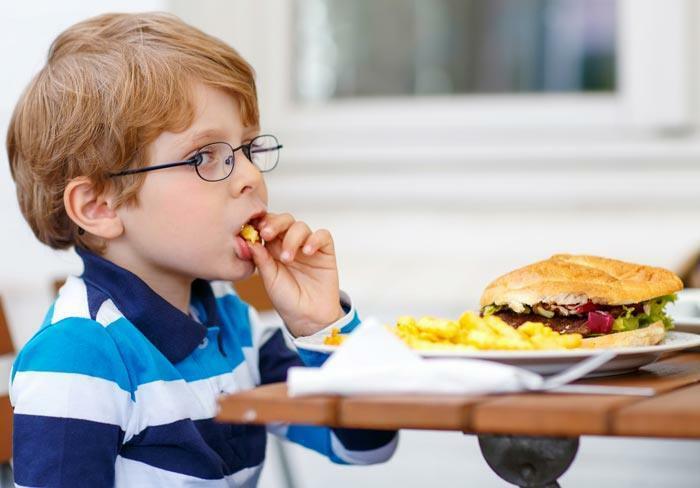 Treat the kids menu as junk food and you will make the right choices from there. If you do get junk food add other stuff too it at a bare minimum. Hamburger with lettuce ,onions, pickle and tomato. At least get the taste/flavor of vegetables in their mouth no matter how little it is or how crappy those veggies are. The long term issue is not the calories themselves. It is building the habits of fast food salty/fake flavor, packaging and “Happy” ness that they will spend a lifetime having to un-build. They will be surfing (probably a virtual reality video site) in 15-20 year searching how to “lose weight fast”. Look around you at the many people struggling with weight problems—perhaps you struggle as well. Do not put your child on that path. Do not cater to what they want (or what they think they want). You are the adult and you know what is best for them. Now obviously you need to lead by example. You can not be eating a garbage diet and expect your kids to eat clean. Get your house in order and make sure you eat well as a family. It will be fight at first but it’s well worth it. My mom was a long time organic hippy—before any of it was cool. In fact it was really uncool and I think she reveled in it. In the 70’s she bought organic hot dogs (don’t ask me how—obviously the labelling was not there). I do not think I knew any better until I was at a friend’s house eating ball park franks years later. “Wow this is really salty” I thought. I remember years ago when I was in 1st grade—our school had a “healthy breakfast” day. They were serving frosted flakes for the cereal so my mom did not want me to go. Yeah obviously “Super sugar” frosted flakes and healthy breakfast don’t sound right today but in 1976 it was okay. They probably would suggest a cigarette as a chaser. Oh but it gets better, my mom wrote a note about why I would not be going. Elaborating how frosted flakes are not healthy. I was mortified bringing that to school—I begged—could I just not go or I’d go but eat something else. I just wanted to fit in. But my hippie mom would have none of that. Today I’m grateful for that decision (I’ll still argue the note was overkill). But she instilled the right habits. I wish I had that note—I’d proudly send my daughter to school with it. Fighting the good fight from day 1!